Light & Darkness Radio: Featured Today! "Norther, Introitus..."
Norther (FIN) - NORTHER was originally formed by Kristian Ranta, Jukka Koskinen, Tuomas Planman, Petri Lindroos and Toni Hallio in the year 2000 after various of early stage band formations. The band kicked into gear with its debut release "Dreams of Endless War" through Spinefarm Records in 2002. The first album entered the Finnish charts at position 17, and the response was excellent. The band began playing shows in and around the Helsinki area, and the buzz grew like wildfire. Being prolific songwriters, they almost had an album's worth of material ready before the debut record was released in every corner of the world. Soon the guys barricaded themselves inside the famous Astia Studio with producer extraordinaire, Anssi Kippo. The album 'Mirror of Madness' came out in early 2003 entering the Finnish charts at position 11. It was a step forward for the band, a logical continuation of the onslaught begun with "Dreams of Endless War". A step towards a more old-school sound combined with their intense approach to modern death/black metal. After touring with Dimmu Borgir and Hypocrisy in late 2003 the band went back to the studio to record the successor of "Mirror of Madness". In early 2004, NORTHER released its third full length album "Death Unlimited". It received very good feedback from the media all around the world. It also hit the Finnish charts for weeks like the previous albums at position 17. "Death Unlimited" was probably the heaviest NORTHER sound so far. The style had also changed into more death metal and atmospheric feelings. NORTHER played several shows in 2005 and then recorded an EP, "Solution7" to release some unheard material. This piece was recorded at Astia Studio with close friend and Producer Anssi Kippo and was also featured in the official Finnish charts at position 5. This time NORTHER wanted to bring in something new, adding Kristian's clean vocals for extra spice. In the summer of 2005, NORTHER headed to Studio Fredman in Gothenburg, Sweden (In Flames, Soilwork, Hammerfall, Arch Enemy, Opeth etc.) to record their fourth full length album named "Till Death Unites Us" with producers Fredrik Nordström & Patrick J. Sten. Soon after the recordings of the album Toni Hallio left the band to pursue other interests. It didn’t take long until Heikki Saari was found to take over on drums. After the release in January 2006, "Till Death Unites Us" got an excellent response in Finland hitting the official Finnish charts position 6 and was also praised abroad. It showed rage but also delivered the softest songs in the band's history. Later the same year the band composed the theme song (Frozen Angel) for a major Finnish feature film, "V2 – Dead Angel" produced by Solarfilms Inc. The band is also featured in the film. In February 2007 NORTHER released a new EP, 'No Way Back', which only came out in Finland and later in Japan. The record immediately hit position number 1 in the Finnish charts. Later that year the band had great club gigs and festival appearances across Europe (Wacken, Masters of Rock, etc.) while writing new material for their forthcoming album. Early August the guys entered the Astia Studios to record the new album with Anssi Kippo. After a two month session the band played sold out shows in Finland, re-visited Studio Fredman to mix the album and then hit the road again with Amoral & Drone for a European tour. Finally to crown their achievements, NORTHER signed a new deal with Marquee Avalon and with Century Media Records! NORTHER is reborn! 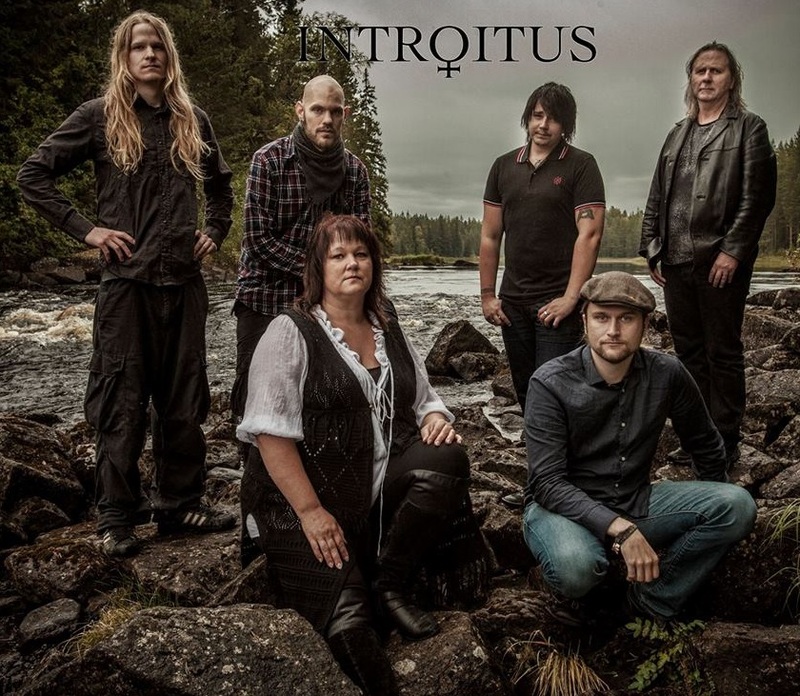 Introitus (SWE) - The history behind the music on “Fantasy” is long! Mats Bender started making some of the songs on the cd as long as 30 years ago on one of his first synths. The tunes has been made and remade over the course of time and finally, when the development of technique allowed it, he could document the music audiotiv in his own studio. Mats and his wife Anna, worked musically together for many years before took the step to also create music together. ”Elements” is all about new material and also introducing Mattias Bender as a composer on one of the songs. The music has been elevated to a fantastic outcome! During the recording new companions where added to their duo and they became 7 members at the core of the music. The drummer and the additional drummer are their own children, Mattias and Johanna, which gave the inner circle a great family touch! Upon that they found working joy with the handyman Henrik Björlind on extra synth, accordion, flute, fiddle and second guitar. Johanna and Henrik also sing all additional voices where it is needed. The current lead guitarist, Pär Helje, has a fantastic ear for rich sounds and the bass guitarist, Dennis Lindqvist, makes the foundation secure for the rest of the team. This is the inner core of this progressive music project! ( This is one of the best bands I ever heard of and wanted to share this from my collection Enjoy! ). Skiltron (ARG) - Forming an idea that was coming since a few years before, Skiltron was born in 2004, with just two members at that time: Emilio Souto and Matías Pena. Caravellus (BRA) - CARAVELLUS was formed in 2002 by Glauber Oliveira – Virtuous guitar player from Brazil. This was a studio project in the beginning that had participation of a couple musicians. After the first demos recordings (2002 - 2004), the line-up was completed with Daniel Felix on keyboards, Charles Erlan on drums, Paula Araújo on vocals and Pedro Lee on bass guitar. In September 2006 CARAVELLUS was signed by Erpland Records and recorded their first album " LIGHTHOUSE AND SHED " which was released in March 2007. 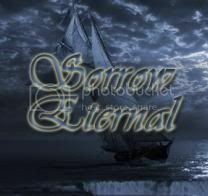 The musical concept of walking in the footsteps of great and virtuous bands like Symphony X, Dream Theater and Angra formed the band and helped them to become known in Japan. Caused by musical differences Pedro Lee, Charles Erlan and Paula Araújo had left the band. A new course for CARAVELLUS with new members and new ideas. For it, and after a long selection process, Raphael Dantas (vocals), Cleison Johann (bass) and Pedro Nunes (drums) joined CARAVELLUS in December 2007. With an inspiring mix of progressive power metal sound layered with classical and folk influences, CARAVELLUS has brought along the right tools to create originality and adroitness, audacity and quality. The band have made huge waves in Japan and France. CARAVELLUS's extraordinary musical talent, innovative songwriting and wonderful musicianship creates an immediate, emotional impact on even the most selective of listener. The second album "KNOWLEDGE MACHINE " is awesome!! The band signed with the canadian label Metalodic Records, for world distribution. This album is a perfect mixing between: Progressive Music + Heavy and brazilian folk rhythms. DIAMOND in his own Sonic Train studio in Varberg, Sweden.